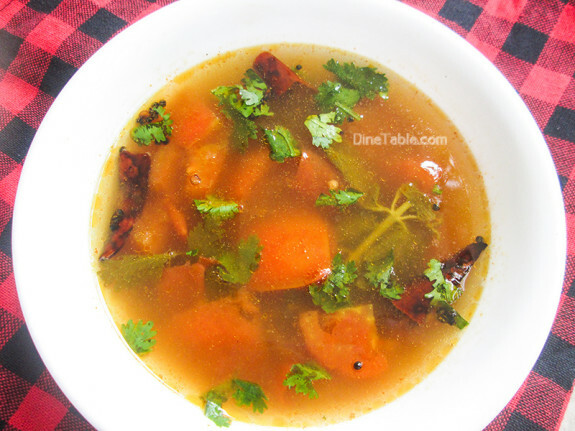 Black Pepper Rasam Recipe / കുരുമുളക് രസം is a very easy to make side dish recipe which is rich in flavor and aroma. 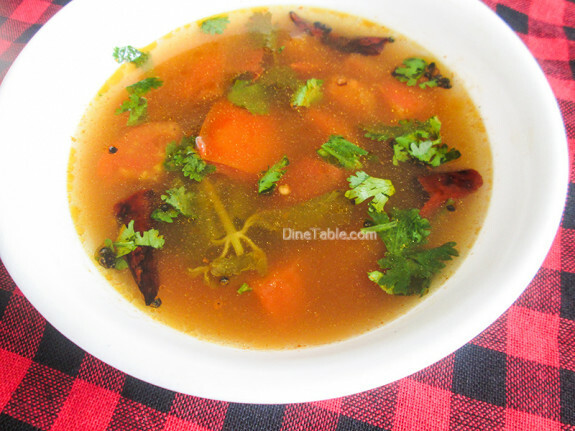 It is a must side dish in Kerala / Onam sadya like sambhar, avial, thoran… Apart from this, rasam is excellent for digestion and a home remedy to fight against cold and throat infection. 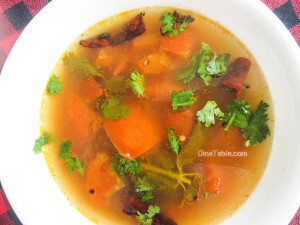 The consistency of rasam is similar to soup. 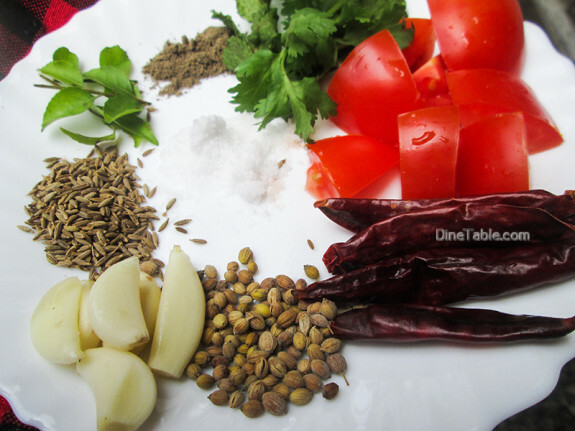 Black pepper, cumin seeds, coriander seeds, garlic are crushed and added along with tomatoes and cooked in tamarind water. 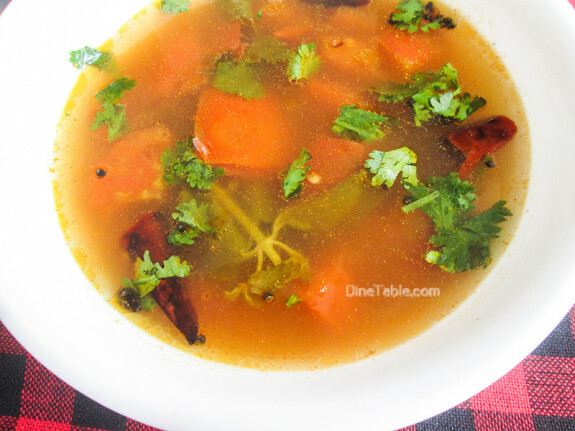 If you want your rasam more spicy, you can add more black pepper. Click here for other traditional Kerala Recipes..
Soak tamarind in 1/2 cup of water for 10 minutes and squeeze out the juice. 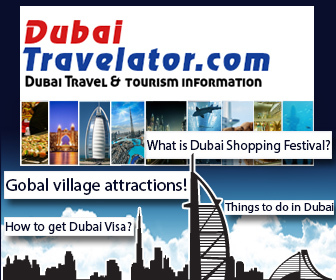 Crush the peppercorns, cumin seeds, coriander seeds and curry leaves in a grinder. Heat 2 cups of water in a pan and add salt, turmeric powder, chopped tomatoes, garlic. Bring to boil. Simmer for about 10 minutes. Add the crushed peppercorn mixture and the tamarind juice and stir well. Cook for 4 minutes. Heat oil in a pan and add mustard seeds for tempering. When it splutter, add asafoetida, curry leaves and red chilly. Pour it over the rasam. Garnish with some fresh coriander leaves. 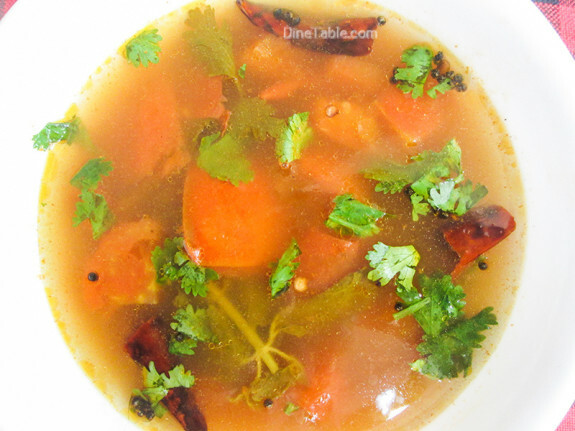 Tasty and spicy black pepper rasam is ready. Serve hot.